THE INSIDE SKINNY ON… The Music Hall’s Kitchen Tour 2018! Over 1,000 guests will walk from home to home this Saturday during The Music Hall’s annual Kitchen Tour; a fundraising event that showcases homes in a different community of Portsmouth each year. 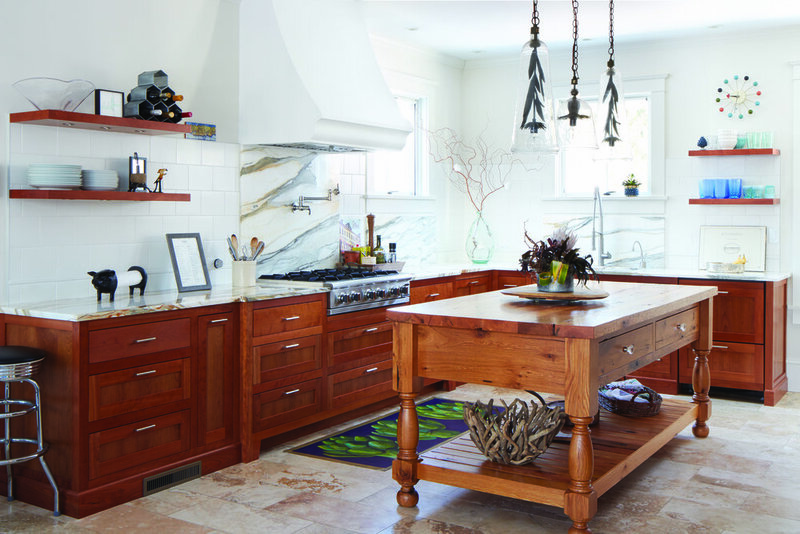 If you’re considering a renovation project, or if you’re curious about the area’s top kitchen designs and trends, you don’t want to miss this once-a-year event! This week, we learn more from the Kitchen Tour planner herself, Ashleigh Tucker! Photo by Greg West Photography. How long has the Kitchen Tour been taking place? 2018 will be our 27th Kitchen Tour! Approximately 250 homes have opened up their doors over the years, allowing over 15,000 guests to enjoy the beautiful homes of our community. In what neighborhood will this year’s tour take place? This year’s tour will take place in Portsmouth’s Little Harbour neighborhood, featuring 11 homes between South St., Middle St., and Lincoln Ave.
What drew you to this neighborhood? My favorite part about the Little Harbor neighborhood is that all of the homes were built in different time periods. There is a full architectural spectrum of homes that showcase a beautiful display of Portsmouth history over the decades – from homes of our earliest colonists, to workforce housing for families at the Button Factory during the Victorian years, and small homes for military families employed at Pease during the ’50s. As visitors, what can we expect to see? The theme for this year’s tour is modern renovations in older homes. Out of all of the homes on this year’s tour, 9 of the 11 featured homes were built before 1910! The other trend is that almost all of this year’s homeowners have younger families with children under 10 years old. It is not something we have seen in past tours, so we’re excited to welcome some new energy! Combining modern influences with historic renovations, while catering to family needs, has proven to be beautifully fascinating. Thank you for giving us the inside skinny on this year’s Kitchen Tour, Ashleigh! All proceeds from the Kitchen Tour go directly to The Music Hall!